This little baby was just the cutest! I have so much fun when clients bring in their little ones. 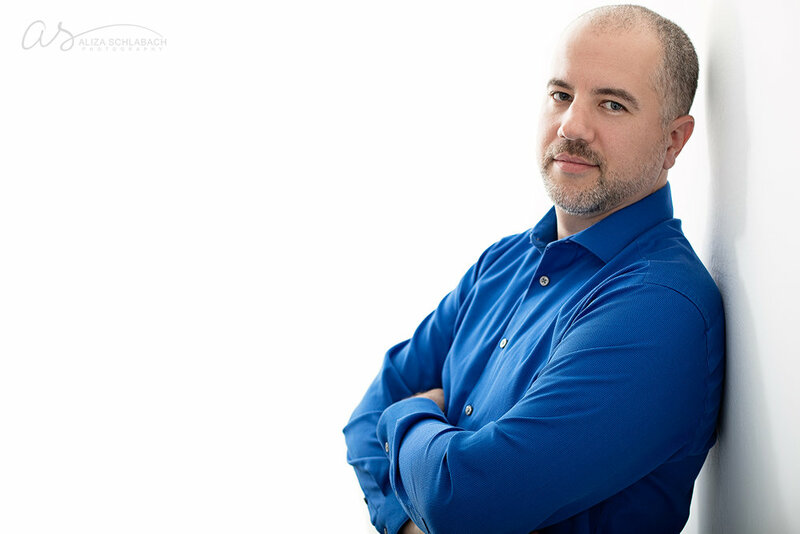 My husband needed some new headshots. Mission accomplished. You can’t go wrong with the clean backlit white background and a strong blue shirt. Puppies puppies puppies! 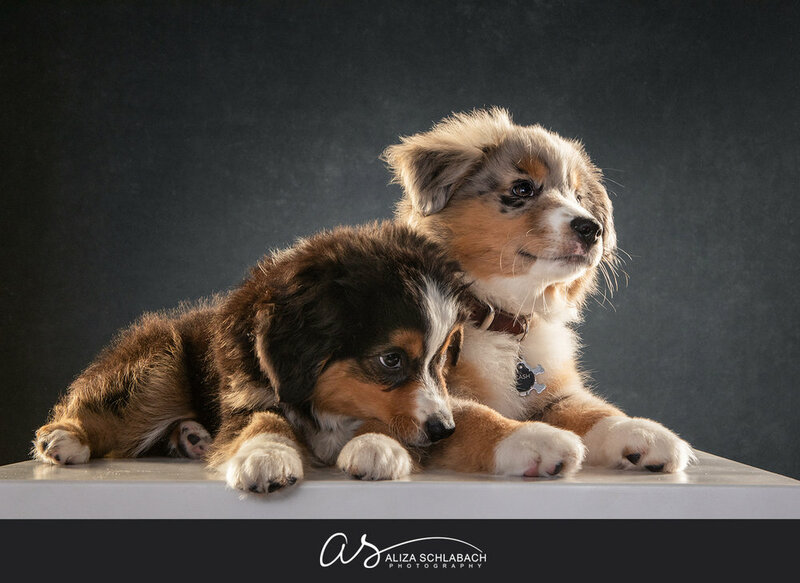 I was just a whee bit excited when I found out I’d get to photograph these two ADORABLE aussies. There was a lot of pee and maybe a few hundred photos of these two nuts play biting each other (think crazy snarled pointy teeth shots), but they finally started to putter out and we got some good ones. Introducing my newest offering: fine art newborn portraiture. No props. No complicated wraps. Just mom, dad, and their sweet baby. Classic, simple, and beautiful. Check out my newest child portraits featuring the studio swing. Kids absolutely love these sessions, and the images we create are worthy of printing large and hanging up on the wall. This is one of my hair and makeup artists, Heather. Can you believe she is pregnant with TWINS?! I photographed her early last year, and she was just a dream to work with. When I heard she was preggers I knew I needed to get her in front of my camera again. A beautiful hand painted canvas backdrop, this gorgeous glowing woman, and some light and posing magic… these are some of my favorite photographs ever. I’ve been wanting to do a Vanity Fair, magazine style maternity shoot for awhile now. My new hand painted olive green canvas backdrop arrived the day before this gorgeous couple showed up in my studio, and I knew the stars had aligned. Childhood is such a beautiful time that is far too fleeting. 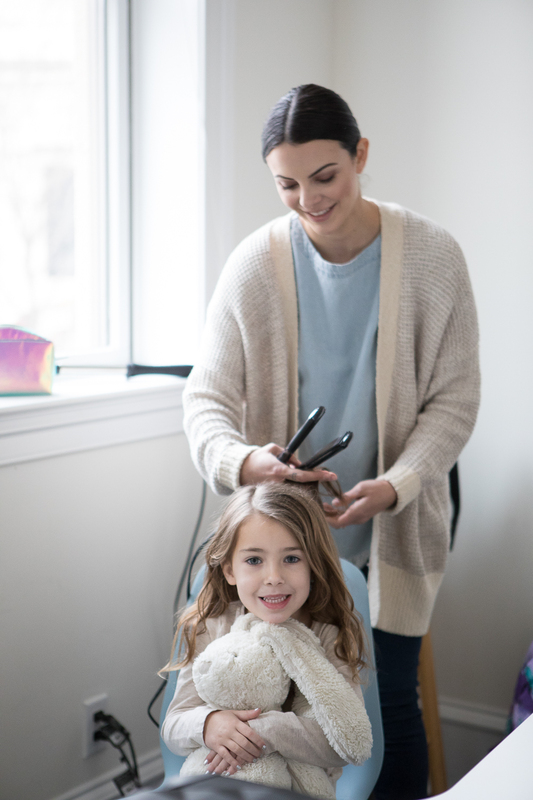 And these little girls just loved the idea of coming to my studio, getting pampered by my hair and makeup artist (a little lip gloss and just a touch of mascara is plenty for these little ones! ), and taking photos with their sisters and best friends. Getting pretty with hair and makeup! We had a great session in my Ardmore studio and the neighboring alleys capturing some new headshots for this actor. Another day, another headshot session! Headshots on my classic backlit white and solid black backdrops.